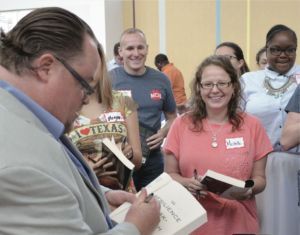 Author and clinical social worker Christian Moore signing books for faculty and staff at the district-wide summer convocation. 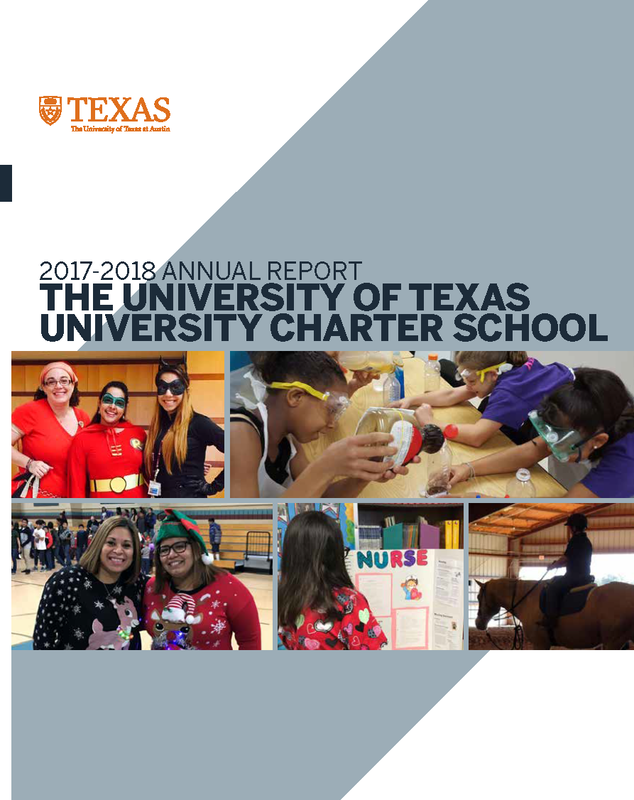 Last August, faculty and staff from the UT Charter School System came together at the UT Elementary School for the All-District Convocation. Keeping with this year’s theme, “Just Keep Swimming!” the event featured a special guest speaker who wrote the book on resilience. 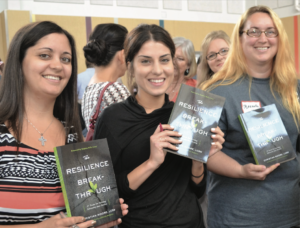 Everyone in the room received a copy of Christian Moore’s book, “The Resilience Breakthrough: 27 Tools for Turning Adversity into Action,” which delivers evidence-based practices for thriving in the face of adversity. Inspired by the life-altering lessons in Moore’s book, UT-UCS Superintendent Dr. Melissa Chavez decided to make it required reading for the 2016-17 academic year. Moore reflected on his own personal struggles of growing up in an unstable home and outlined the four core inner resiliencies that he developed through those experiences. He also shared a key principle he calls “flipping the switch,” a tactic that taps into empathy and turns pain into power. “Ask yourself, ‘How can I use this situation to better my circumstances and become more resilient – today, this hour, this minute this second?’” he stated during his PowerPoint presentation. UT-UCS faculty smile for the camera as they wait in line to have their books signed. In a charter school system that serves students with special needs, resilience is an essential component of education—for both teachers and students. That’s why UT Elementary School was one of the first to adapt Moore’s “Why Try” program into its counseling office. Now adapted into thousands of schools across the nation and the globe, the program uses a multisensory approach to teach resiliency to youth of all academic levels. Although economically privileged students have access to high quality schools, Moore pointed out that they’re facing a different academic gap. Moore concluded his talk by thanking his audience for working with students who, like himself, are struggling with a host of challenges.